I was going to do a post on another topic entirely, but the new-books shelf in Arts was bulging so I couldn’t resist! If you’re still hanging out for a bit of Salvador Dali surrealism after the heady delights of the recent NGV blockbuster, then this book might be just the thing. 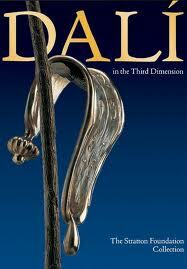 Best known as a painter Dali himself saw that as only one part of his creative makeup, and this book more than ably demonstrates the importance he placed on his sculptural work. Lobster telephones, melting clocks, elongated elephants and rhinos, they’re all here in all of their delightful weirdness! If you think that most photographs of rock musicians are made up of scruffy, sullen lads slouching against walls looking bored, think again. 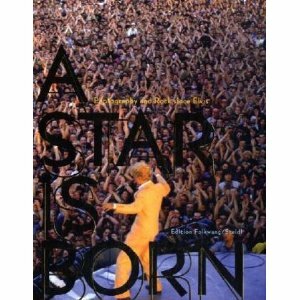 This book, based on an exhibition at Museum Folkwang in Essen, brings together studio portraits, live concert shots, publicity material and magazine spreads to demonstrate how the visual imagery of rock music has developed over the years to become a central part of the way in which it defines itself. 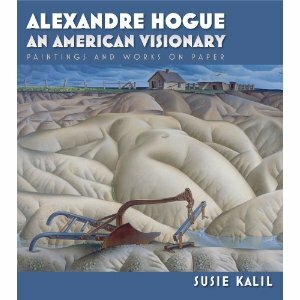 This remarkable book highlights the work of one of America’s great realist painters of the 20th century, Alexandre Hogue. Hogue’s passion for nature and the landscape found artistic fulfillment in the place he spent most of his life, Texas. His most famous sequence of paintings documented and commented on the ravages inflicted on the land during the Great Depression when all around him the world was turned into a dustbowl, a disaster he blamed squarely on human activity. Interestingly (to my eyes anyway) his art reminds me very much of the work of New Zealand artist Rita Angus, featured in an earlier post. 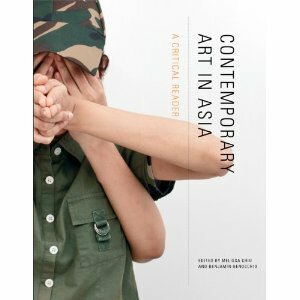 Closer to home, its been a remarkable development over the last decade or so to see the rise and rise of Asia as a kind of ground-zero for contemporary art. This new reader trawls through some of the most important essays published in the last 20 years in order to closely examine both the phenomenon and the art world’s varied responses to it. From the sublime to the outrageously camp, which can be sublime in its own way of course! George Quaintance was an American artist and illustrator who primarily worked within the (ahem….) “male-physique” genre throughout the 1940s and 50s. Easy to forget just how repressive those times were, and it’s always fascinating to see the subversive strategies gay artists and publishers employed in order to fly under the radar. Quaintance’s sweetly naive imagery graced the likes of dimestore magazines such as Snappy Stories, Stolen Sweets, and Tempting Tales, not to mention the more obvious Physique Pictorial. German publisher Taschen have once again delved into the archive and produced a lavishly illustrated and charmingly affectionate homage to an artist who managed to draw and tread a very fine line in very difficult times.